Sooooo…. Claudia Greim resigned because she doesn’t support the ready, fire, aim approach that Governor Eric Greitens is demanding from the State Board of Education. The assumption is that Greitens will be appointing someone to take her seat this morning – like any minute now – before the 8:30AM meeting. That person will be the fifth vote for the majority to fire DESE Commissioner Margie Vandeven. The hope from the governor’s team appears to be to pick someone as close to the start of the meeting as possible so that they can’t be talked out it! If you’re keeping score at home, this next appointee will be the tenth hand-picked nominee of this governor as he tries to rally five votes to oust Vandeven. Last night Judge Jon Beetem refused to order an injunction stopping this morning’s meeting in response to two lawsuits about the process. See the Post-Dispatch article here. There’s fear among budget watchers that the federal tax bill could blow a huge hole in the Missouri budget. Because it doubles the standard deduction, and Missouri’s income tax is “coupled” with the federal income tax, it would reduce what folks owe. Most are estimating a $800 million - $1 billion shortfall if the current bill becomes law. But now comes Professors G. Dean Crader and Joseph H. Haslag with an estimate of that’s in a ballpark all their own. They say it will only ding Missouri’s revenues by $121 million. Here’s one: Haslag’s paper claims they have great model (which they may have) but shows no calculations. The attachments are meaningless without how each federal change produces the results… [It’s] a ‘trust me’ document… [You] can’t tell anything about what federal changes produced what fiscal result for Missouri. Sloppy for a research group if they have all the individual tax records and can definitively track the changes in their simulations. Haslag’s starts with a $516 million hole. Then with a waving wand of the black-box model $394 million of that disappears. Abracadabra. It’s only $121 million. You can see their analysis here. Actually they don't show their analysis. This is not the first time folks have questioned Haslag’s estimates – in part due to his association with Rex Sinquefield’s Show Me-Institute. See the Kansas City Star article on that here. And Haslag had previously offered “back-of-the-envelope calculations” about how Kansas would thrive because of its crazy (and incoherent) tax cut plan. In President Donald Trump’s visit to St. Charles to tout the federal tax reform, he singled out Randy Schilling, an entrepreneur who has spent several years and millions in private funds renovating historic buildings on St. Charles’ South Main Street. It’s ironic that the President of the United States called attention to Randy Schilling’s success because House tax package which strips out and kills the federal historic tax credits. The street’s congressman, Blaine Luetkemeyer, who flew in with Trump aboard Air Force One, voted for that proposal. So did his fellow air passengers, Sam Graves, Ann Wagner, Vicky Hartzler, Jason Smith and Billy Long. All of those lawmakers represent communities (including Cape Girardeau, St. Joseph, Springfield, Joplin, Columbia, Excelsior Springs and Hannibal), where the federal and state historic tax credits are revitalizing downtowns and neighborhoods. The Senate version, meanwhile, keeps the 20% federal historic tax credit but shortens its amortization timetable – a position likely supported by Senator Roy Blunt. Former Rep Jeff Roorda plans to be a serious contender for the Jefferson County Executive. Yesterday he seeded his campaign with $25K of his own money. And he rolled an endorsement from the Missouri Fraternal Order of Police. See it here. Roorda likes that his Republican opponent, Dennis Gannon hails from the sparsely populated southern end of the county. While some feel that JeffCo has been lost to the Dems, maybe Roorda will make it a race to watch. Becky Willard joined Axiom Strategies as a Missouri Director. The press release: Governor Eric Greitens has appointed Thomas K. Reedy, of Webster Groves, to serve as a lay member on the 21st Circuit Judicial Commission. He will replace Christine Bertelson, who resigned earlier this year… The 21st Circuit Judicial Commission helps fill judicial vacancies in St. Louis County by interviewing and sending a panel of three judge candidates to the Governor. The Governor ultimately appoints one member of the panel to serve as judge. Under the Missouri Constitution, the Governor has the power to appoint two non-lawyers to each judicial commission upon the expiration of the preceding member’s term or resignation. The Twenty-Second Circuit Judicial Commission announced the panel of three nominees to fill the associate circuit judge vacancy created by the appointment of Judge Jason M. Sengheiser to the circuit court in the city of St. Louis…. Frank J. Carretero, Deborah L. Price, and David A. Roither. They also announced the panel to fill the circuit judge vacancy in the city of St. Louis created by the retirement of Judge Timothy J. Wilson… Matthew J. Devoti, Annette Llewellyn, and Judge Calea Stovall-Reid. I don’t have final numbers yet, but with one day left in the month things were not looking pretty. Individual income tax receipts were in negative territory with overall revenue essentially flat for the month. The fiscal year-to-date number is a little above 3%. KCStar reporter Jason Hancock dinged the spending of former Speaker Tim Jones’ Leader for America PAC. See it here. Pull Quote: Leadership for America spent $1,400 at golf resorts in Missouri, Colorado and Florida from July through September this year. Each was labeled on the PAC’s disclosure reports to the Missouri Ethics Commission as a “grassroots expense” or “travel expense.” In July, the PAC spent $913 at Pierpont’s at Union Station, which dubs itself “Kansas City’s premier steakhouse and seafood restaurant.” It spent $238 at House of Cigars the same month, labeled as a “fund-raising expense,” and $468 at the Waldorf Astoria Chicago in August. Also listed as a “grassroots expense” on disclosure forms was nearly $4,000 spent by the PAC in September at Vivid Seats, an online ticket reseller, and $1,200 on St. Louis Cardinals tickets in April. A recent Secretary of State filing lets us see who some of the board members of Leader for America are: Sean Flower, Tony Kirk, and John B. Royal are listed. Also its registered agent, Patrick Butler, recently resigned and was replaced by J Randolph Parham. Auditor Nicole Galloway and conservative political non-profit Missouri Alliance for Freedom are tangling over open records requests. Auditor’s Office statement yesterday: “To date, we have provided more than 24,000 pages of documents at no charge in response to records requests by Missouri Alliance for Freedom. We will continue to comply with their additional requests and remain committed to transparency. Pull Quote: The new request seeks a forensic image of each of Galloway’s state-provided cell phones, all backup files on each phone, billing records for each phone, any correspondence within the office related to the group’s original requests, and any correspondence related to the new request. The Kansas City-based Missouri Alliance for Freedom has said it favors limited government, which means citizens must be able to access public documents to oversee what the government is doing… The Graves Garrett law firm, which is representing the nonprofit, is run by Todd Graves, chairman of the Missouri GOP and an ally of Gov. Eric Greitens. Politico reports, “Black lawmakers wonder why Conyers has to go — but not Franken.” See it here, with Congressman Emanuel Cleaver quoted near the end. 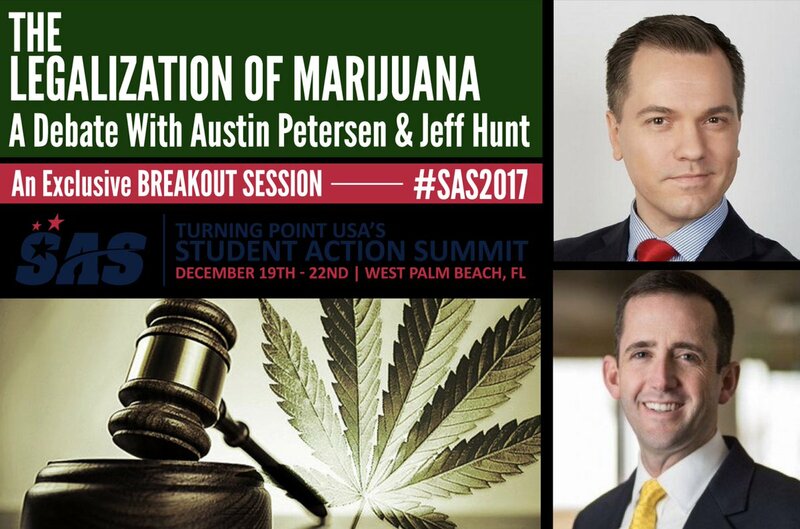 Republican Senate candidate Austin Petersen to debate medical marijuana. See it here. Chris Molendorp deleted W.E. Shoehigh LLC on behalf of Expedia Inc., and W. E. Shoehigh, LLC on behalf of Microsoft Corporation. Find the Cures - $80,000 from Bradley Bradshaw. United Food & Commercial Workers Local #655 Elect Political Action Fund- $6,067 from UFCW Local 655. Committee To Elect Jeff Roorda - $25,000 from Jeff Roorda Revocable Trust. Happy birthday to Charlie Dooley, Joe Knodell, Frank Plescia, Stacy Steen, and Elizabeth Zerr.